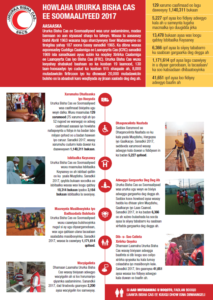 SRCS, 8 May 2018 — Today, on World Red Cross and Red Crescent Day, the Somali Red Crescent Society (SRCS) is joining a global celebration of the work and bravery of Red Cross/Red Crescent volunteers, and the diverse humanitarian services they offer in communities everywhere. “Our volunteers live in the communities they support, from the smallest and most remote villages,” said the SRCS President, Mr. Yusuf Hassan Mohamed. The SRCS reaches more than than two million people, mainly women and children every year with a diverse range of services tailored to local needs. From providing key health facilities to disaster management, it helps people to prepare for, cope with, and recover from crises. Every year, around the world, the Movement supports millions of people affected by conflict, natural disasters and other emergencies, through its network of around 14 million volunteers and 450,000 staff. 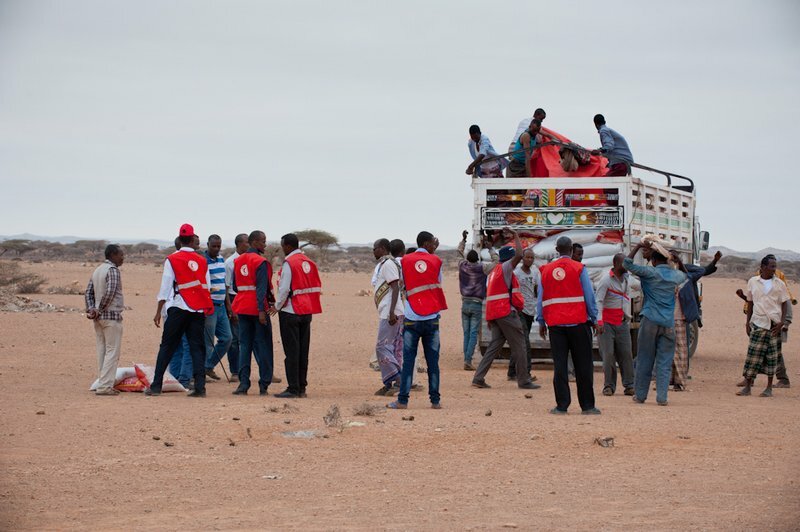 Red Cross and Red Crescent volunteers are as diverse as the life-saving services they provide through 190 National Societies, the International Committee of the Red Cross (ICRC) and the International Federation of Red Cross and Red Crescent Societies (IFRC). This local action is supported by the global reach of IFRC, ICRC, as well as partnerships with sister National Societies across the world. World Red Cross and Red Crescent Day is celebrated every 8 May. It recognizes the bravery and dedication of volunteers and staff members around the world.